Our 177-acre Robins Campus is just minutes from the main campus on Mooreland Road. The athletics facilities include 12 playing fields, Tennis Center featuring 13 hard courts, championship court and a tennis house; Baseball field featuring a picnic pavillion, a viewing/filming tower, dugouts and a "green monster" outfield wall; cross country and mountain biking courses; and a softball field. The Saunders Center contains a Sports Performance Center, indoor turf room, training room and locker rooms. Children play on Fort Cougar during recess. Middle School boys celebrate after a Challenge Discovery activity. Cougars show their spirit at Homecoming in spite of rainy weather. Lower School students let off some steam during recess. Graduation is held on the Middle School lawn in front of McFall Hall. Students in biology take the classroom outside. Students test out their underwater ROVs in the amphitheatre in front of Reed Gumenick Library. At Collegiate, we have set the bar high when it comes to the tangible aspects of the educational experience we provide – curriculum, facilities, the arts, athletics, college counseling and more. We are a vibrant community of learners where students thrive on their educational journeys and in every aspect of life. Yet ask others and they will tell you it is the intangibles that set Collegiate apart. It is our understanding your child, getting to know the individual person and fostering each student’s unique spirit. It is the lifelong relationships formed with peers, teachers and parents that form a community which is at the heart and soul of who we are. 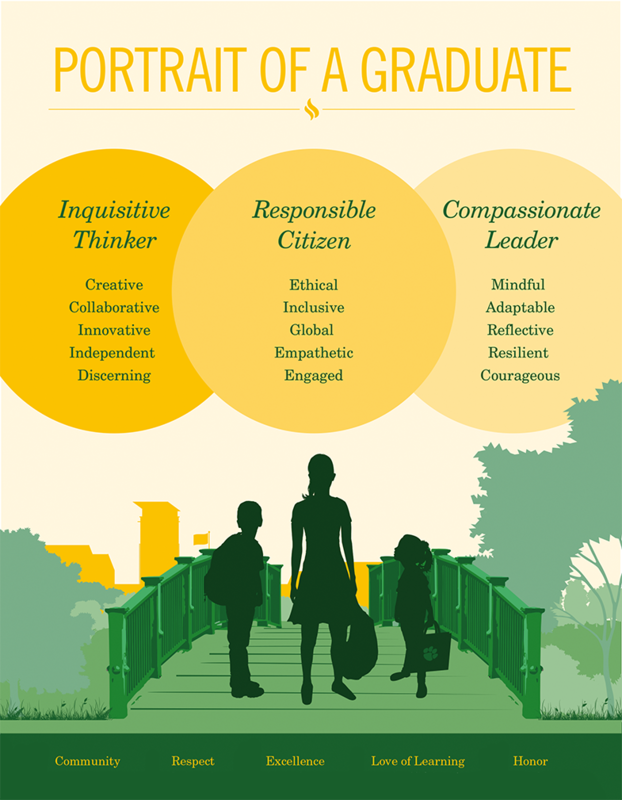 We are preparing the next generation of creative thinkers and engaged, caring citizens. Collegiate is so much more than a school ... it’s a place that becomes a part of you. Collegiate is committed to a diverse and well-rounded student body, faculty and staff. Please read more on our diversity initiatives. We affirm our School's foundation in the Judeo-Christian tradition while welcoming students and families of all faiths and beliefs. Read more about religion at Collegiate School. The School admits qualified students and does not discriminate on the basis of race, color, national or ethnic origin, religion, gender, sexual orientation, mental or physical disability, or any other status protected by applicable law in the administration of its admissions, scholarships, and loans, and its educational, athletic, and other programs.